For existing SoftPlan customers only. SoftPlan+ Cloud Server & Services is a subscription-based facility for current SoftPlan customers, which enriches the design process by providing the user with a suite of cloud services and up-to-date knowledge of everything SoftPlan has to offer. Very happy with SoftPlan+. I have used Tech support a couple of times, fast response. I really like the ability and convenience of the Cloud. It's a snap to store projects there. I think SoftPlan nailed it this time. Cloud Sharing SoftPlan+ saves the most recent copies of your projects to the SoftPlan+ cloud drive. With your SoftPlan key and a high speed internet connection, you can continue working on your project from a different system. The new SoftPlan reView extensions also allow you to publish your documents for customer viewing, including 2D vector drawings and rendered panoramic views. Customers can also make notes on the vector drawings and any changes appear automatically the next time you open the project. Toll Free Phone Number Reach SoftPlan’s technical support team with the SoftPlan+ toll free number to receive personalized assistance. Integrated Support Tickets Providing streamlined support, SoftPlan+ includes the ability to submit a support ticket directly through the SoftPlan+ interface. SoftPlan then gathers all the files of your project and makes a copy available to the SoftPlan support staff who can then review your project and provide the appropriate feedback and files you need to address the issue. Command and Control Support With permission, SoftPlan+ support technicians have the ability to take control of a SoftPlan+ subscriber’s computer for advanced assistance. SoftPlan+ provides an entirely new level of customer interaction that facilitates communication so that the customer is always up to date. 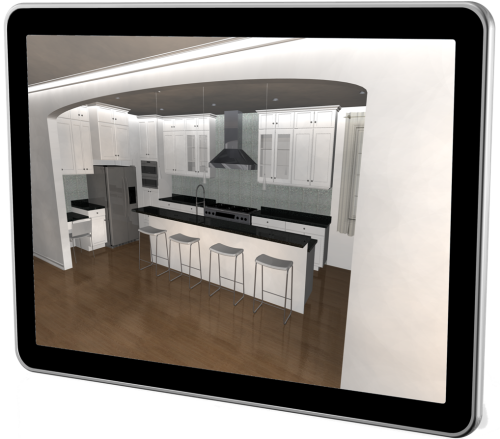 This efficient system of interaction gives the customer the ability to view your designs in 2D plans and 3D models, from a PC or an iOS device of their choice, and to supply input in a collaborative process unique to SoftPlan. All reView functionality is available through SoftPlan+ including the authoring of reView & PDF files. Automatically generate panoramic views from predefined points to experience the model in fully immersive 3D on PC, iPhone, or, most impressively, iPad. SoftPlan+ allows Apple iOS support for the iPad and iPhone so users can access their work from anywhere. Mark up drawings, add notes, and take a virtual tour of a house in full, panoramic 3D, all from the convenience of your iOS device. SoftPlan+ allows android users to access their work from anywhere. Mark up drawings, add notes, and take a virtual tour of a house in full, panoramic 3D, all from the convenience of your android device. SoftPlan+ subscribers have no cost access to the latest version SoftPlan has to offer. Receive all of SoftPlan’s time saving enhancements as soon as an updated version is released. SoftPlan+ subscribers have access to additional content that is stored on the SoftPlan+ cloud server and can be updated and augmented at any time. SoftPlan+ subscribers have access to pre-release versions of new products and versions before the general user base. SoftPlan+ subscriptions are only available in the United States and Canada. SoftPlan+ subscriptions will only work via a high speed internet connection. SoftPlan+ is an additional service added to SoftPlan, not a copy of SoftPlan.